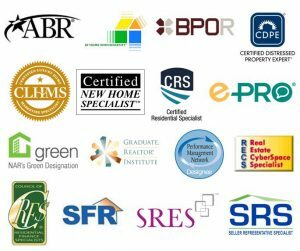 Should Builders and Consumers use a REALTOR® for New Residential Construction? Christopher believes the only answer in both cases is “Yes”! You should also choose a Certified New Home Specialist! In order to properly protect the interests of both parties to a transaction, the Consumer/Buyer and Builder/Seller must each have individual representation. Builders and Brokers can and should work together! It may be of surprise to most, but most Consumers and Builders in our area actually do not work with real estate agents in new construction transactions. Unfortunately, there are cases of both Consumers and/or Builders or who have had bad experiences as a result. Cost to You – Nothing! Any compensation given to REALTOR is recognized by the builder as a marketing fee and has no impact on the final cost of the home. Builders desire, expect and encourage REALTOR participation! Savings to You – Are you getting what you’re entitle to have, both in quality and value? Your experienced REALTOR knows what you should receive and what “extras” might be available! Resale, Appreciation & Profit – Give your investment the best opportunity for appreciation at resale. Questions concerning site location, builder, design and decor are important. Your REALTOR knows you are building not only for today, but for tomorrow! 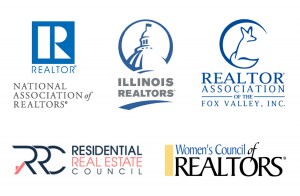 With your REALTOR, YOU are Represented! Your agent’s experience, knowledge, and reputation mean strength and leverage on your behalf! Let the builder focus on their product and the details of the project. And let your real estate agent focus on your protection, negotiations and advocacy. Working with a properly skilled REALTOR in new home sales is one of the greatest benefits of working cooperatively with a Broker/Agent. The reality is, of course, that Builders and Professional real estate Broker/Agents have a lot to gain through cooperating with each other. From assistance like the Marketing on the Listing side, to the Lender & Buyer Qualification on the Purchase side, to so many other reasons (not to mention the skilled Negotiation strengths), using the right professional can mean the difference in smooth and successful experience. Your Agent can focus on the Buyer Relations & Marketing, nad the Builder can focus on the Project and Planning. Regardless if you are a New Construction Builder/Seller (looking for the right Professional REALTOR® to market your property) or a Consumer/Buyer (looking for the right Buyer Agent to assist you with your purchase), contact Christopher for Service Excellence in this niche! Bring Buyers & Sellers Together in Today’s Real Estate Market! 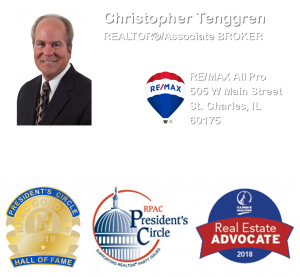 “When Excellence Matters – Count on Christopher”!